What happens when fashion meets technology? The world’s first 5G mixed reality catwalk. 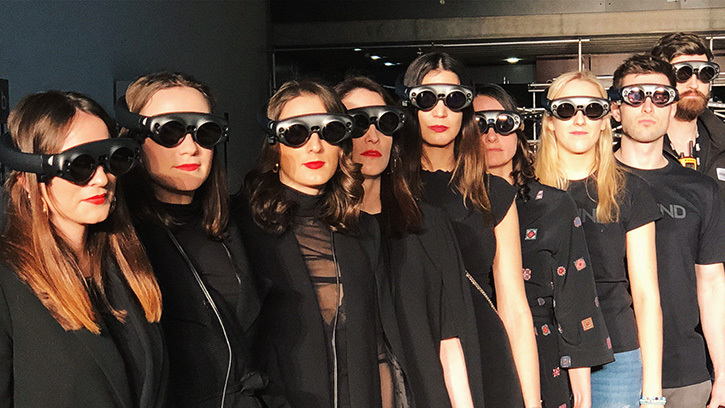 Runway fashion shows are an essential feature for any serious design career, with glittering installations, bespoke soundtracks and luxe wearable tech concepts becoming the new standard. However, this means designers are now embroiled in a game of one-upmanship, as they attempt to satisfy an international, tech-centric audience. 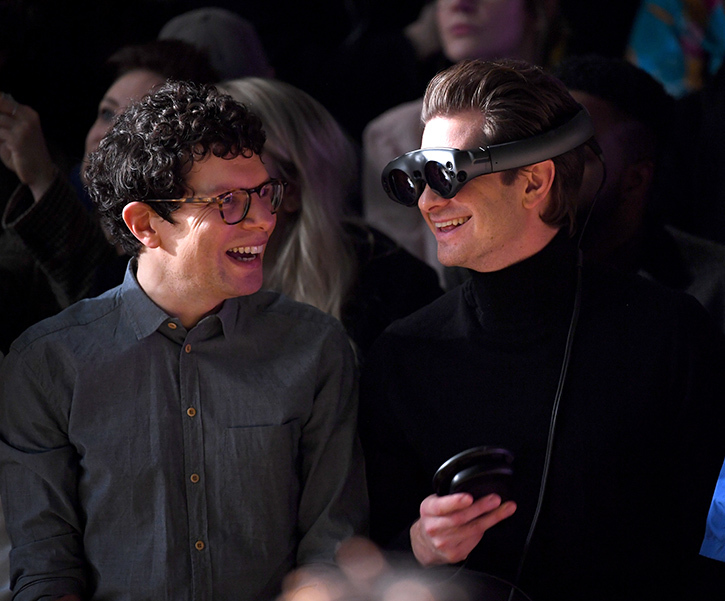 Frustratingly, the tech revealed at these shows goes out of fashion quicker than, err, fashion, and immersive media that has become fashion’s latest fling. We’ve already seen holograms at Alexander McQueen and the first 4D fashion show, care of Ralph Lauren. Tommy Hilfiger populated his front row with social media stars for his first ‘see-now, buy-now’ show. And, outdoing all of it, we’ve just witnessed the first-ever mixed reality fashion show. The MR fashion event was held at Central Saint Martins for London Fashion Week’s MA graduate show. MR, for those that don’t know (or didn’t read our mixed reality issue last December) is the merging of real and digital worlds to produce new environments and visualisations where physical and virtual objects can coexist and interact with each other in real time. The MA graduate show debuted upcoming designer Gerrit Jacob’s collection, which was inspired by ‘80s gaming arcades and fairground scenes. 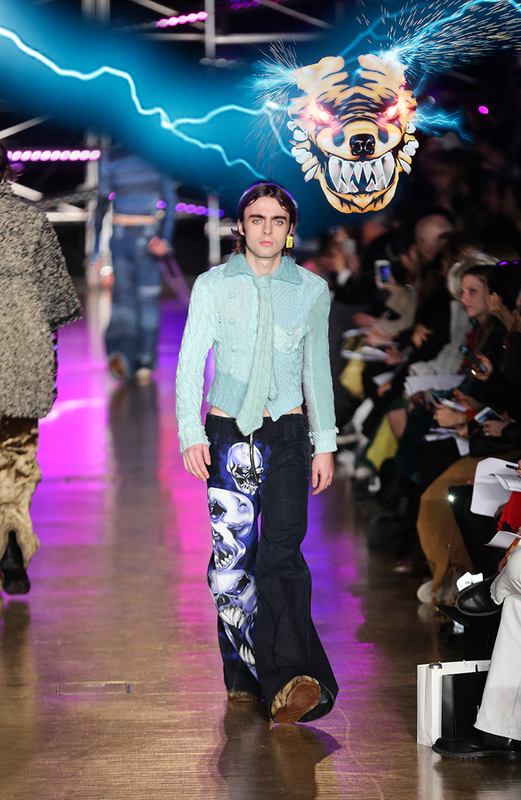 His collection was modelled by Lennon Gallagher (left), son of Oasis frontman, Liam. Lennon strutted down the runway with digital elements materialising above him. These visuals were taken directly from the collection design and included giant skulls, tiger heads and lightning strikes. The MR experience was brought to life by Rewind, an independent studio specialising in creating VR/AR/MR and 360-video experiences. It was in partnership with Three network’s 5G technology and Magic Leap’s virtual reality display headsets. 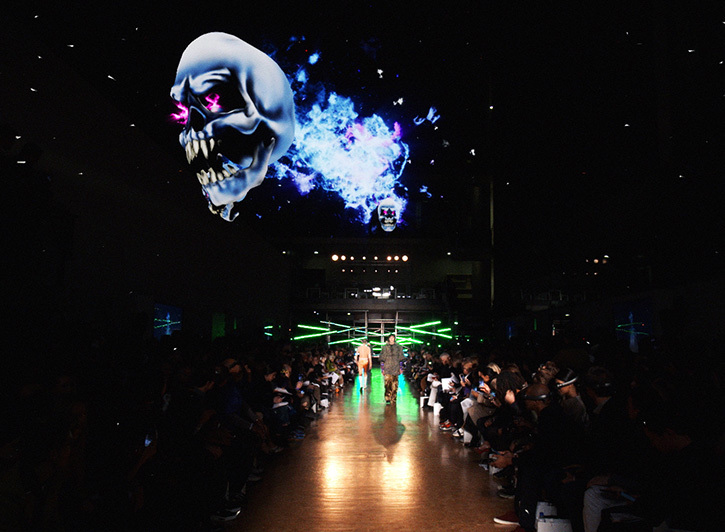 The same real-time game engine used to create cult favourite, Fortnite, was used to create the MR visuals for the Central Saint Martins MA fashion show. Unreal Engine 4 (UE4) is designed to easily render complex imagery at high frame rates. Rewind used Unreal Engine to make three models for the characters, which were then animated and built into the Magic Leap headsets. “We synchronised the designs with the Magic Leap headsets using a computer that ran the UE4 build. We also had a traditional TV vision mixing desk, which enabled a live camera feed. This meant we could create a live mixed reality broadcast through the TV screens as well,” says Furber. Fashion runways are evolving beyond the physical realm. The once far-fetched prospect of a brand connecting its audience through a skilfully crafted virtual reality has now become reality. Away from the excitement of London Fashion Week, the collaboration between Central Saint Martins and Three is part of a long-term creative partnership. Three is setting up a design-focused 5G laboratory on its campus, which will include the internet of things (IOT) hardware and other connected technology. This will allow students to experiment with new ways of creating art through AR, VR, MR and cloud technology. This article originally appeared in the March 2019 issue of FEED magazine.